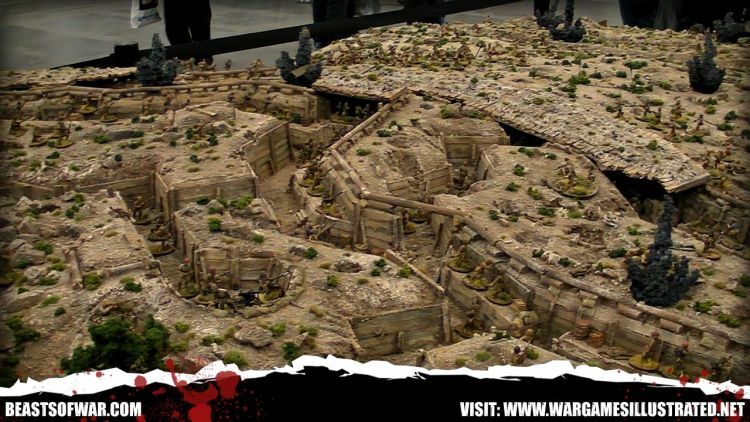 Yesterday, for "Minis & Modeling Monday," I featured "Peter Jackson's Massive Gallipoli Diorama" which might have seemed like a blog post better suits to today's "Terrain Tuesday" section, but it was done to show the massive amount and range of minis that could be used if one wanted to portray the true scale of that year-long campaign. The Gallipoli Campaign ran from February 19, 1915 through January 9, 1916, and 2016 being the one hundred year anniversary of its ending is why it is drawing a bit of extra attention. I thought today that I might focus a bit further on the terrain that could be used to recreate some of the battle sequences from that campaign. First up, from mylardiesgames.blogspot.com and posted in 2012, a pile of pictures of "Gallipoli Campaign # 1 - Red Beach" here. Also, on beastsofwar.com, some photos of the "Gallipoli Masterpiece by Wargames Illustrated [for] Salute 2011" here. Finally, on TheBeastsOfWar YouTube channel, some video of that same terrain exists and gives an even better impression of the possibilities. Enjoy!